Wells Fargo CEO To Forfeit Tens Of Millions In Stock Awards Amid Scandal : The Two-Way Wells Fargo says John Stumpf and the former retail-banking head will forfeit stock awards worth about $60 million combined, after employees opened unauthorized customer accounts to meet company goals. 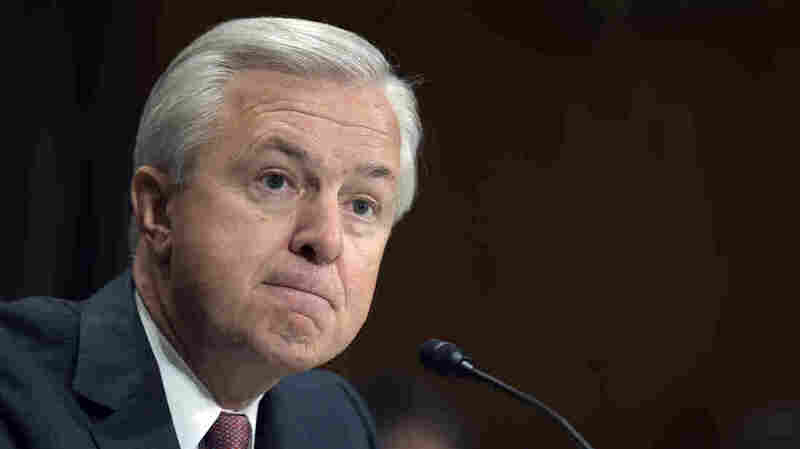 Wells Fargo CEO John Stumpf was grilled by the Senate Banking Committee last week over the bank's illegal sales practices. Wells Fargo says its CEO John Stumpf will forfeit outstanding stock awards worth about $41 million in response to the scandal involving unauthorized customer accounts. Stumpf will also forego his salary while the company conducts an investigation. Additionally, the bank announced former retail-banking head Carrie Tolstedt has left the company and is forfeiting outstanding stock awards worth about $19 million. She "will not be paid severance or receive any retirement enhancements in connection with her separation from the company," the statement reads. Neither Stumpf nor Tolstedt will receive a bonus for 2016, the bank says. It adds that a special committee of independent directors will lead the investigation into the scandal. "We are deeply concerned by these matters, and we are committed to ensuring that all aspects of the Company's business are conducted with integrity, transparency, and oversight," lead independent director Stephen Sanger said in a statement. Sanger added that the bank could take further action based on the results of the investigation. Earlier on Tuesday, The Wall Street Journal said the bank wants to resolve the issue before Stumpf testifies before the House Financial Services Committee on Thursday, citing a source familiar with the matter. Wells Fargo said earlier this month it had agreed to pay $185 million to settle charges that it opened some 2 million deposit and credit card accounts for its customers without their permission over a five-year period. At a Senate Banking Committee hearing last week, Stumpf was sharply criticized over the fact that the bank has fired some 5,300 employees connected to the illegal sales practices without taking any action against senior executives. "Have you returned one nickel of the millions of dollars that you were paid while this scandal was going on?" asked Democratic Sen. Elizabeth Warren of Massachusetts. He was also asked about the possibility of clawbacks of money paid to Tolstedt, who was set to retire with $124.6 million in stock and options. Stumpf had said the board was weighing what to do but refused to say when a decision would be made. 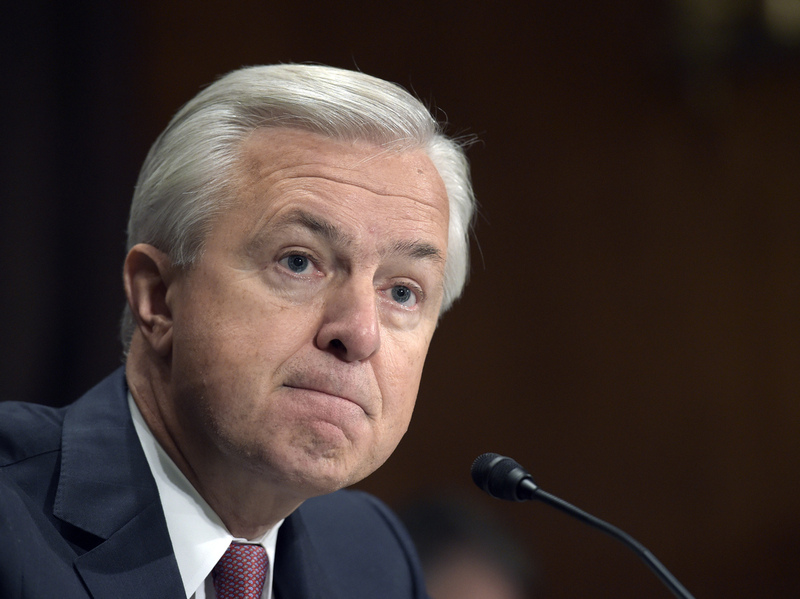 Since his appearance before the Senate panel, which was widely seen as something of a public relations disaster, Wells Fargo's board has expedited efforts to resolve the pay issue.